Product prices and availability are accurate as of 2019-04-14 20:39:28 EDT and are subject to change. Any price and availability information displayed on http://www.amazon.com/ at the time of purchase will apply to the purchase of this product. 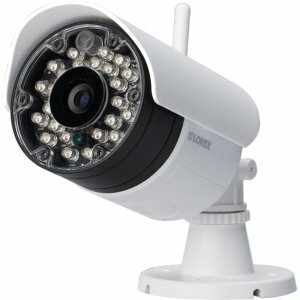 Wireless convenience without compromise Experience the alternative to wired cameras with the LW2230 series and enjoy simple, clutter-free installation that will save you time and money. The secure real-time video signal is protected by our Signal Guard technology which maintains a steady and reliable connection to your system. These cameras are wireless friendly meaning conflicts with competing signals have been minimized with next generation interference reduction technology. Enjoy clear and fluid wireless footage day or night with night vision up to 135ft. Weatherproof and vandal resistant, the LW2230 series is designed to meet your needs.